This idea sprung from necessity. 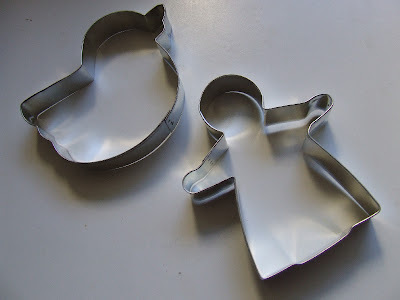 I had, at one point and time, a very large angel cookie cutter that I was saving for this feast day. My idea was to let the children decorate their own guardian angel cookies. Well, that cutter was nowhere to be found this afternoon after my cookie dough was dine chillin' and a suitable replacement could not be found at any of the local craft stores. 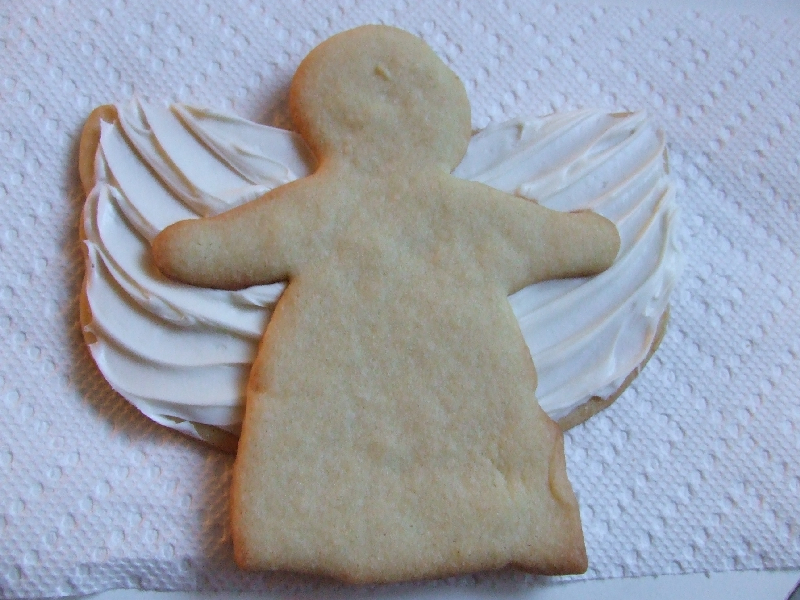 So, necessity being the mother of invention, I started looking at my cookie cutters in a different light and came up with a way to make an angel from a body and a duck's backside. I can't believe I just admitted that. I have no shame. See how the backside of the duck looks like wings? As you can tell by the waning light, we didn't have time to decorate them any more than this right here, so we just ate them as they were. Next time, I'll put the duck's backside to work earlier leaving more time for decorating! And there is a coloring page for today, if anyone is still awake! nice touch for the wings. and the coloring page is adorable. Great idea. 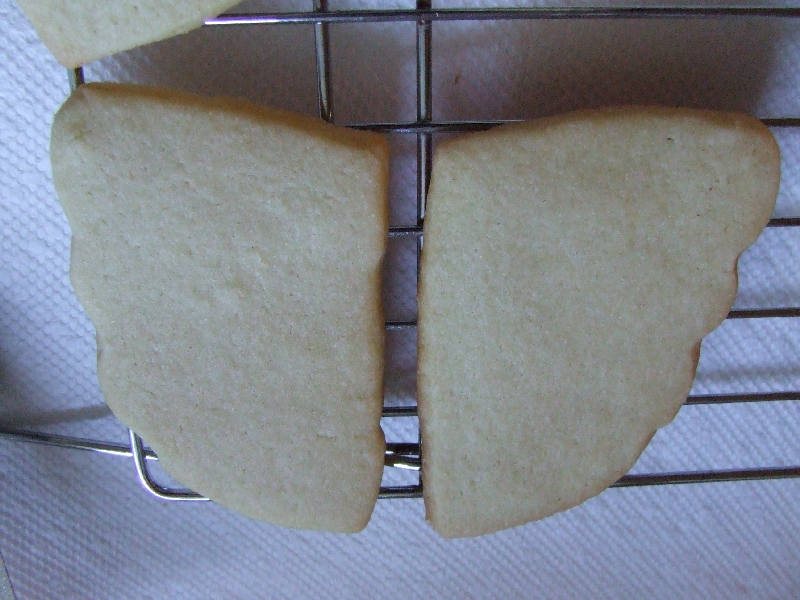 I have, on occasion, hand cut cookies because no cutter was available. Your idea worked much better! Happy Feast Day. You have a true artist's eye, Charlotte. That's a gift. PS. Did you remember to pray for all the people who have a birthday on the feast of the Guardian Angels? Brilliant! Love the drawing, too. Your creativity never ceases to amaze me! As Margaret said, you have quite an eye for artistry! Blessed feast day(s) to you and yours.